We all have our favorite style pizzas. 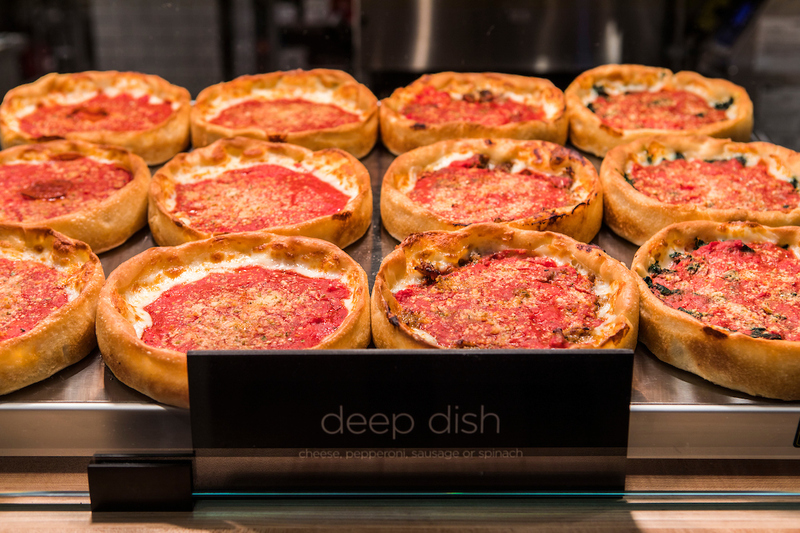 Some like ‘em thin and crunchy, while others prefer deep dish. 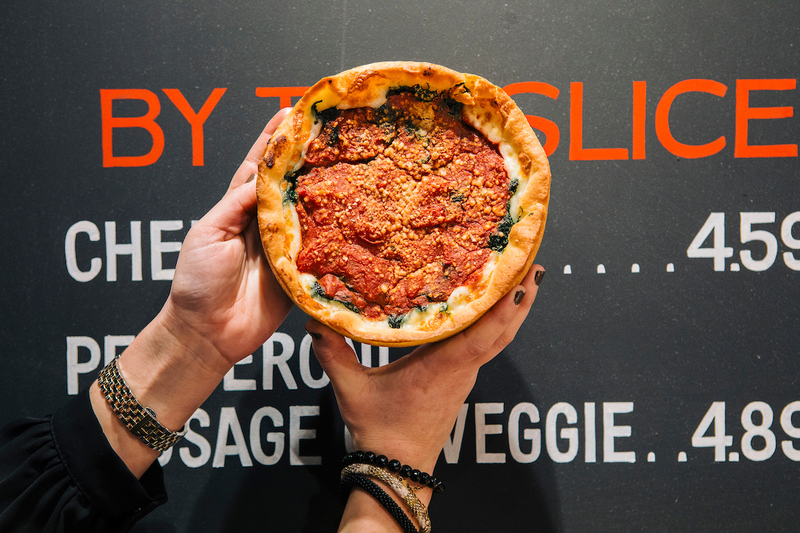 No matter your pizza preference, we’re here to tell you that there’s a new pie in town that you’ve got to try– and it comes from the kitchen at Beatrix Market – DePaul Loop at 23 E. Jackson Blvd! 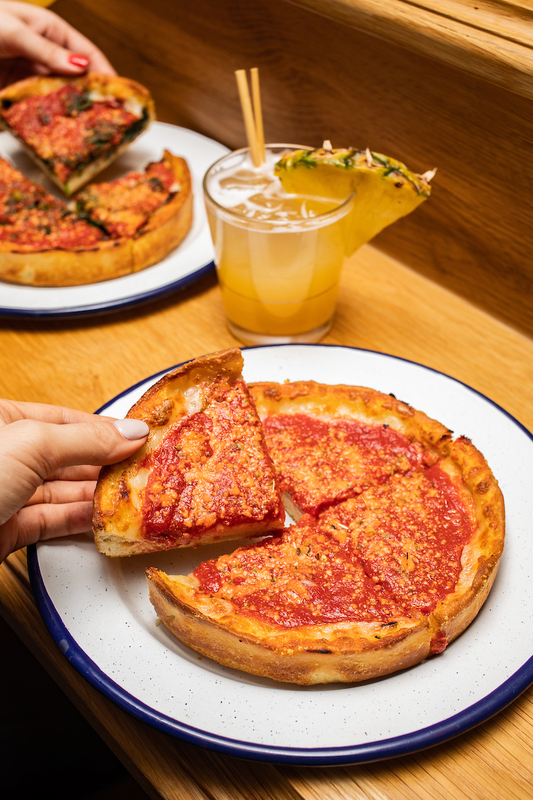 Beatrix Market may be known for the salad bar, hot bar and grab-and-go options, but unique to the DePaul Loop location is pizza so good, that you’ll want to skip that salad and dive into an individual deep dish (or two) all to yourself. From now until Tuesday, April 30, purchase a large thin-crust pizza and get another one for half the price! Click here to order pizza from Beatrix Market with DoorDash. So what makes the pizza stand out? Executive Chef / Partner John Chiakulas of Beatrix Market shares what makes his recipe different. 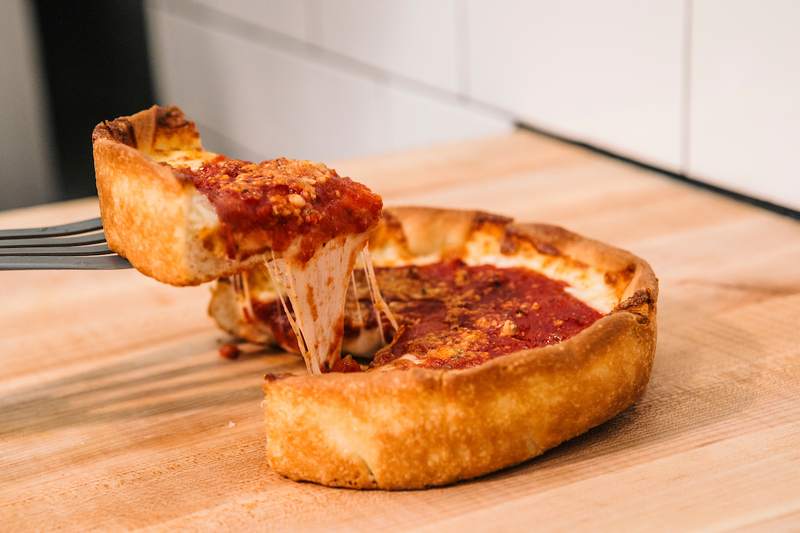 It’s all about that Chicago-style crust. Click here to read what Chicago Tribune said about Beatrix Market’s pizza! When it comes to the thin-crust pizzas at the Market, Chef John likes his sauce sweet, and so do we! With the perfect pinch of sweetness in his secret, saucy recipe, we can bet you’ll be organizing a pizza party in no time. Living a gluten-free or vegan lifestyle and thought your pizza days were over? You thought wrong! Enjoy a custom-baked pizza with gluten-free dough, vegan cheese options, and more – available upon request. Click here to see all of our restaurants that offer gluten-free dishes! Yes, you read that right! Order up your pie for carry-out and delivery. Click here to order pizza from Beatrix Market with DoorDash. Click here to learn more about the new Beatrix restaurant in Oak Brook!